Shabby chic decorating is all about simple designs and light, breezy colors and fabrics. 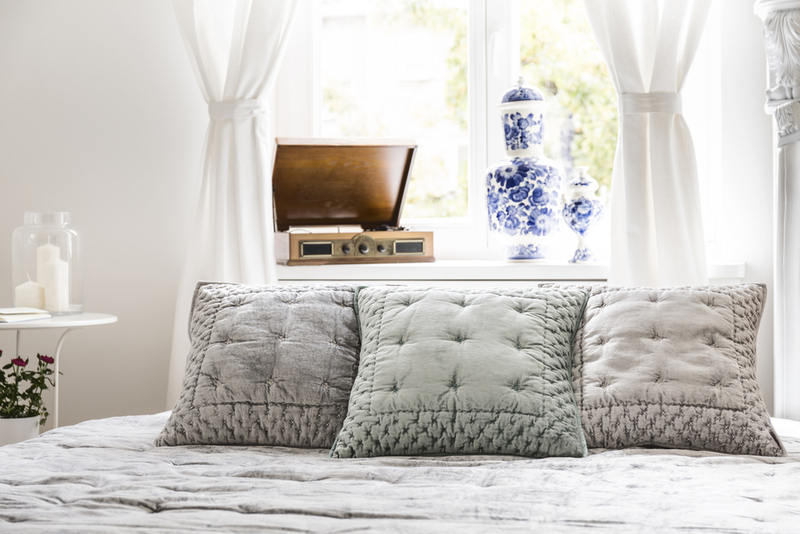 White-washed walls and pale bedding can create a calming and restful ambiance. Don’t overthink it or get too carried away by the ‘theme” as much as the general style. Pink is an incredibly popular color in the shabby chic decorating palette. Try pairing this ultra-feminine color with masculine accents, like a bold Chesterfield sofa or striking navy blue accent wall. Pro Tip: Pink is often considered a feminine color, but paired with masculine antique furniture it’s unexpected and modern. Unique lighting effects always add magic, comfort, and even a bit of romance to your shabby chic bedroom. You can achieve this by purchasing crystal light fixtures or chandeliers from your local Old Town Spring antique store. The glass crystals have a mesmerizing way of reflecting the light throughout the room. In a shabby chic room, it’s important to let your antique furniture act as the foundation for the entire room, anchoring the various colors and patterns with strong, rich wood tones. Add patterned and printed fabrics in your pillows, bedding, and chair cushions to create a comfortable and relaxed atmosphere. Creating a shabby chic style in your room does require you to incorporate your own unique flare and personal elements. Keep in mind that part of the beauty and appeal of this style is the imperfection, so don’t be afraid of making mistakes when giving this style a try. There really is no “right” way to do it, as long as you love it! Contact Us for more information about our Old Town Spring Antique Shop, or check us out on Instagram for real-time inventory updates.